Competition in the online industry is highly competitive. That’s why it’s even more important to be perceived by customers as a reputable and trustworthy shop. A good way to do this is shop reviews, because the majority of online shoppers rely on other users’ reviews, especially when it comes to selecting products and services. Does the online store offer high quality products? Is customer service satisfactory and how long does the delivery take? Evaluations available on the internet sustainably contribute to the image of a company and influence the sales success. The more positive customer opinions about product quality, shipping or service, the better. 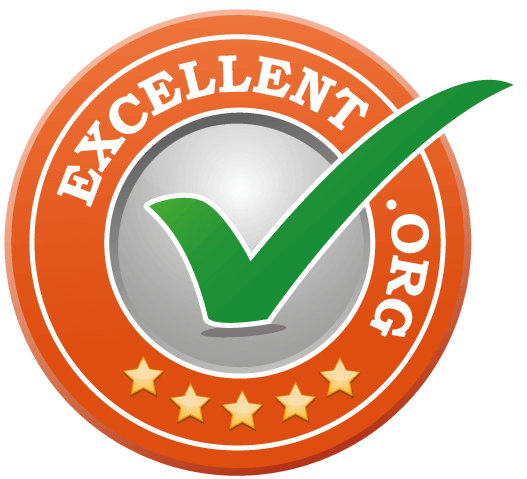 With the EXCELLENT.ORG rating stamp, you can effortlessly collect reviews for your store and make them visible on your website. Shop ratings will also appear in Google Search and in your Google Stars AdWords ads. This leads to increasing customer attention, resulting in a higher CTR and higher revenue. Apply for your personal evaluation seal and show the satisfaction of your customers.